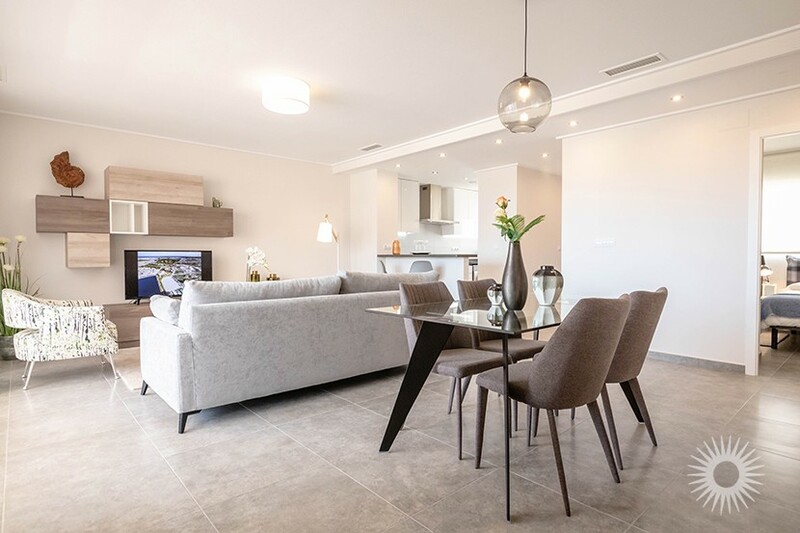 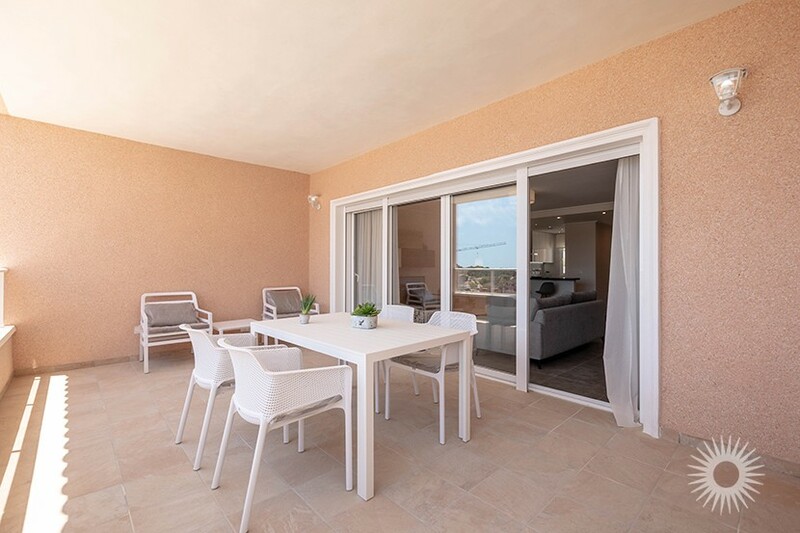 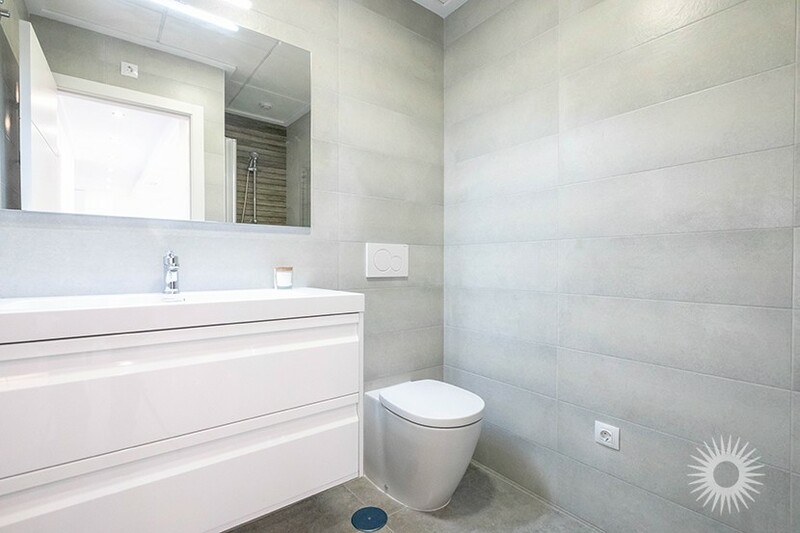 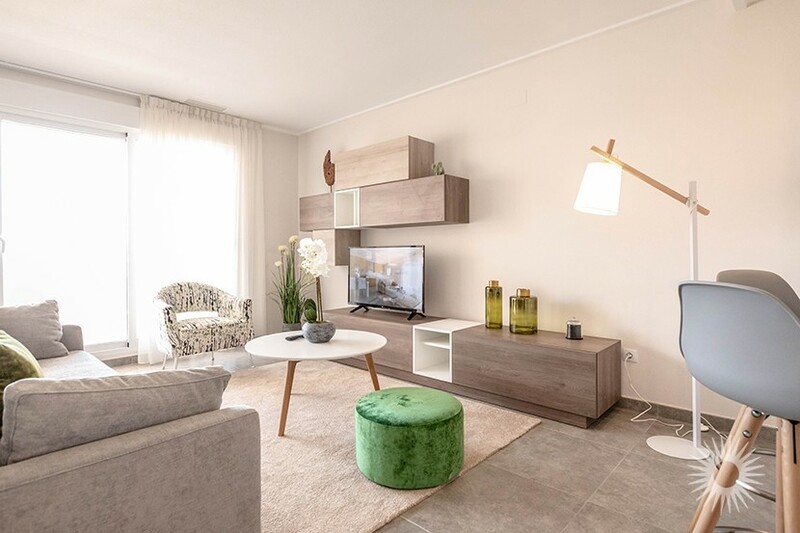 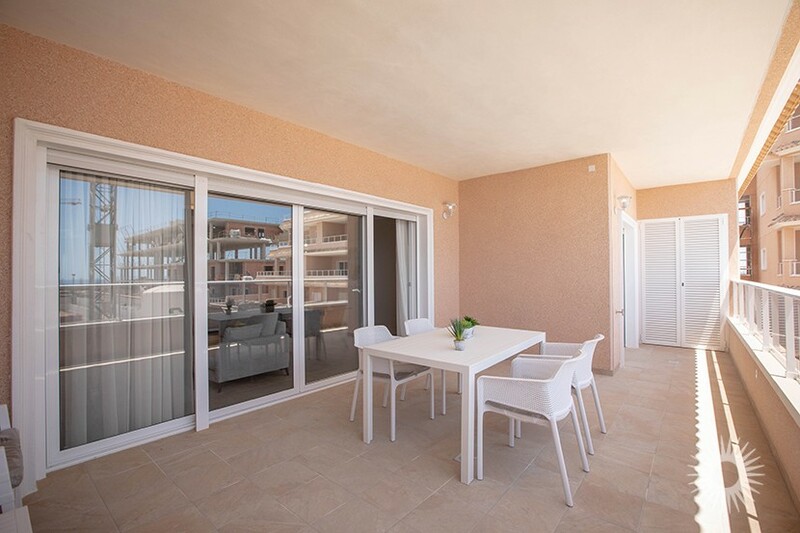 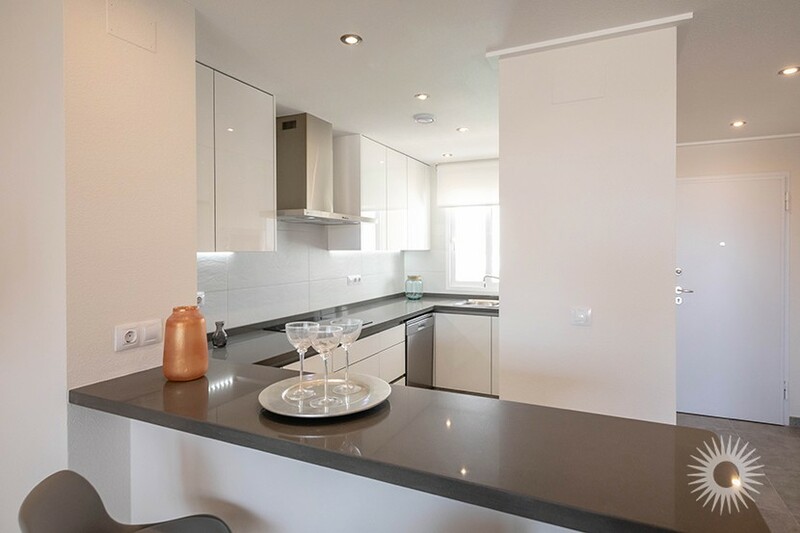 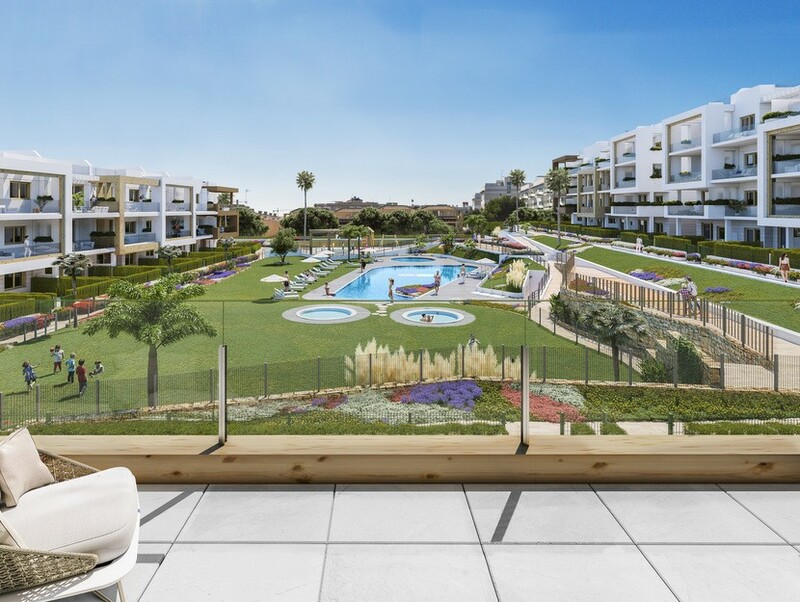 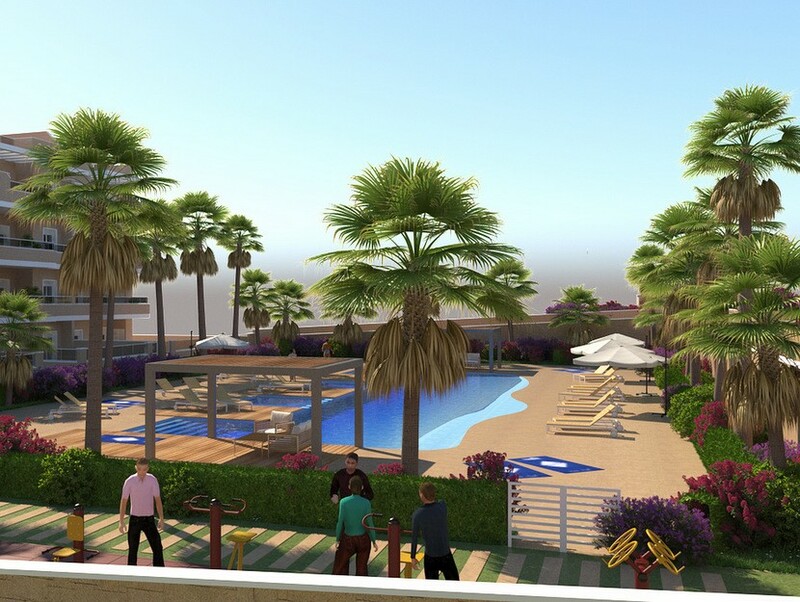 JUST RELEASED FOR SALE…..These brand new 3 bedroom, 2 bathroom Ground floor apartments with private gardens are located in Los Dolses on the Vista Azul development situated in a fantastic central location with all of the local amenities only a short stroll away. 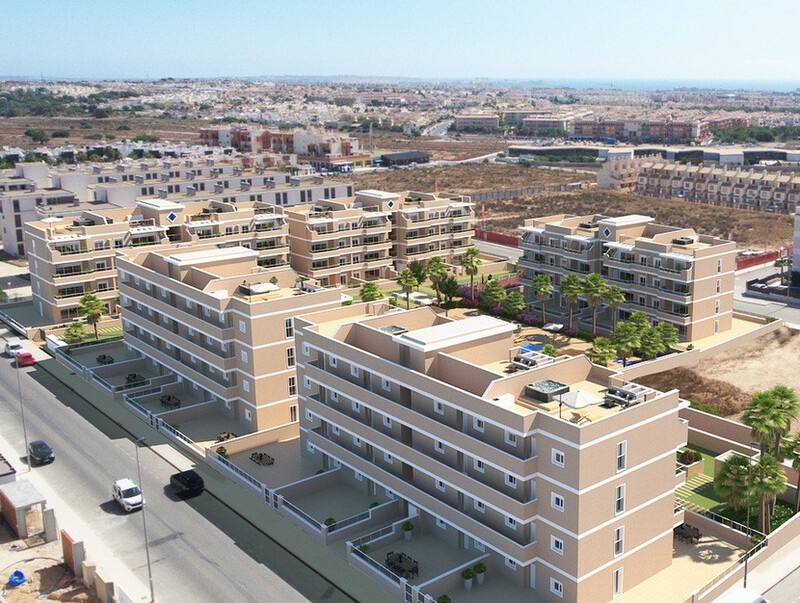 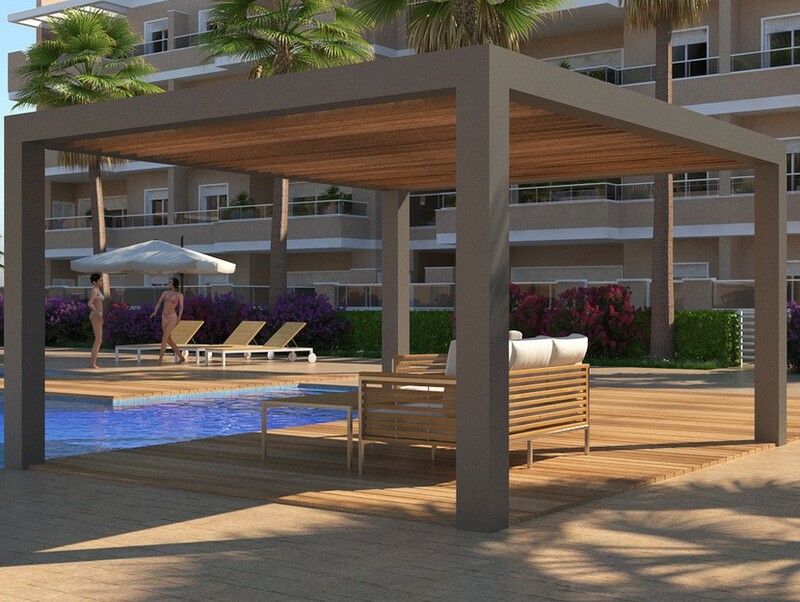 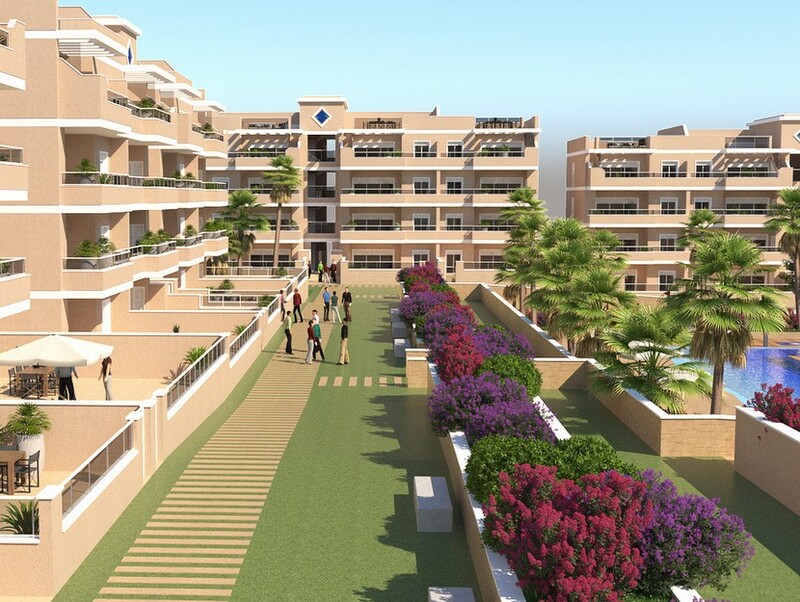 The Villamartin plaza and the La Zenia boulevard are only a 20 minute walk from this exclusive development. 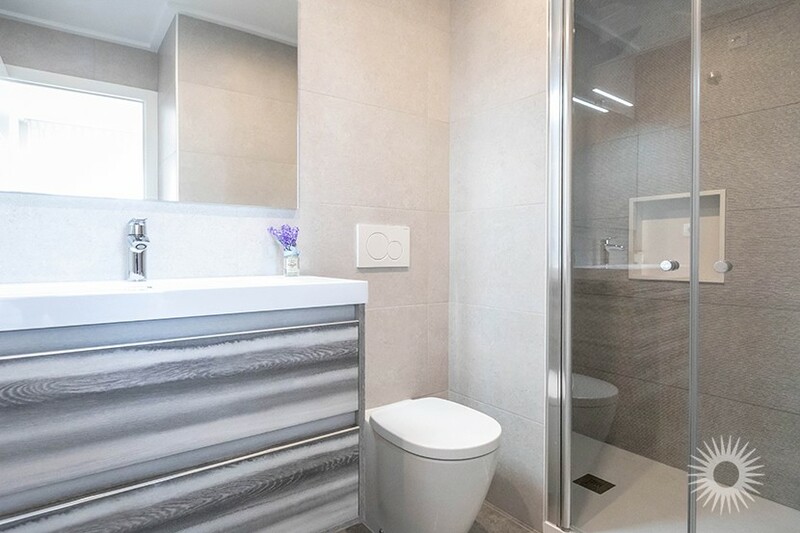 The property is comprised of a spacious lounge area with patio doors leading out into a private garden, an open plan kitchen with fitted appliances including oven, hob, extractor, fridge, washing machine, dishwasher and microwave. 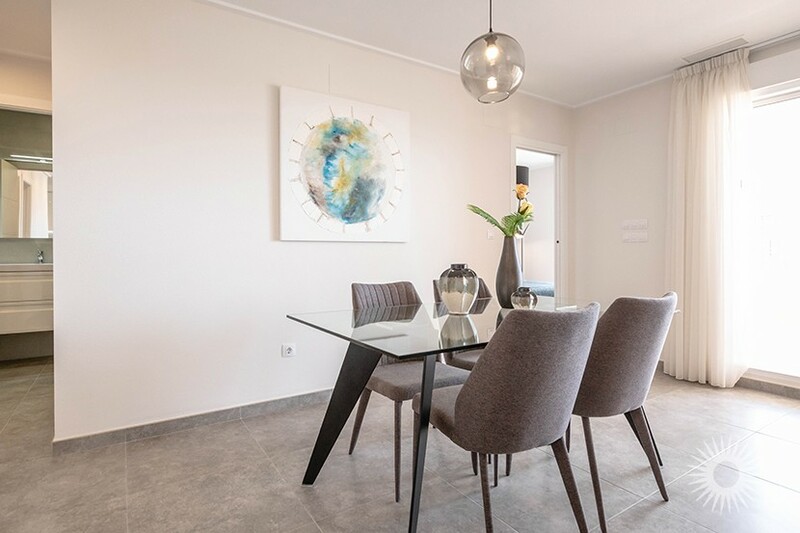 There is also a dining area, a master bedroom with en suite and access to the terrace, two further double bedrooms and a guest bathroom. 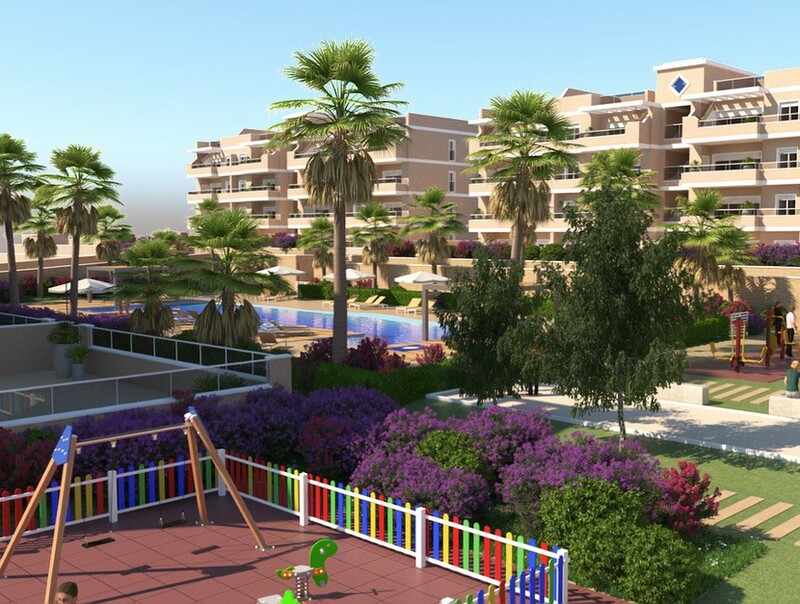 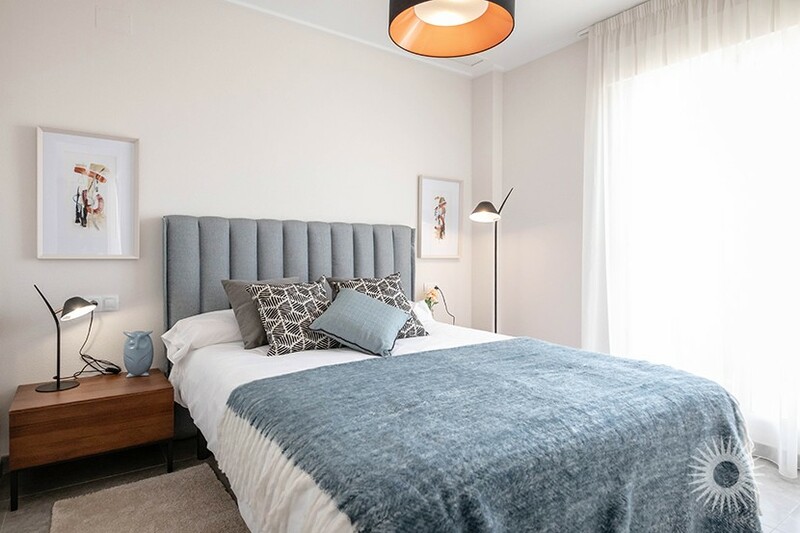 There are beautiful communal gardens with swimming pool, children’s play area, outdoor gym and optional secure underground parking is also available. 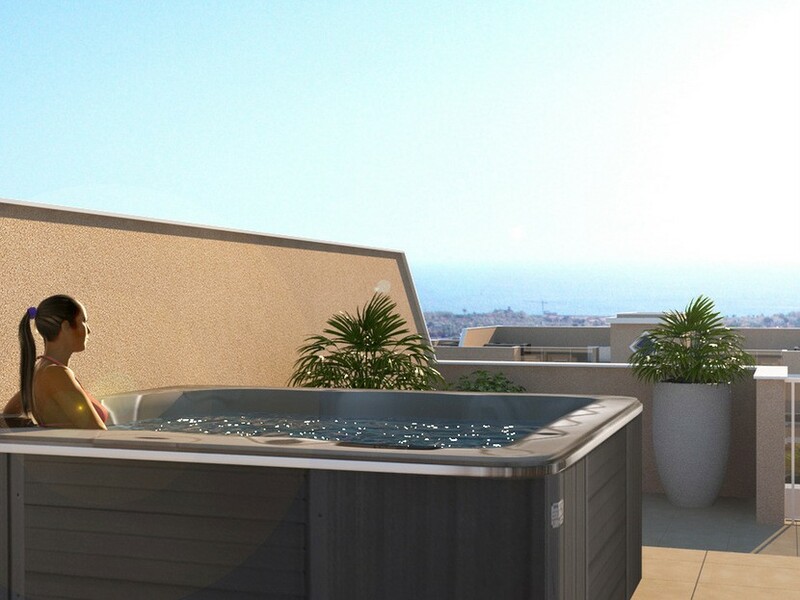 There are also Mid level and Penthouse options available. 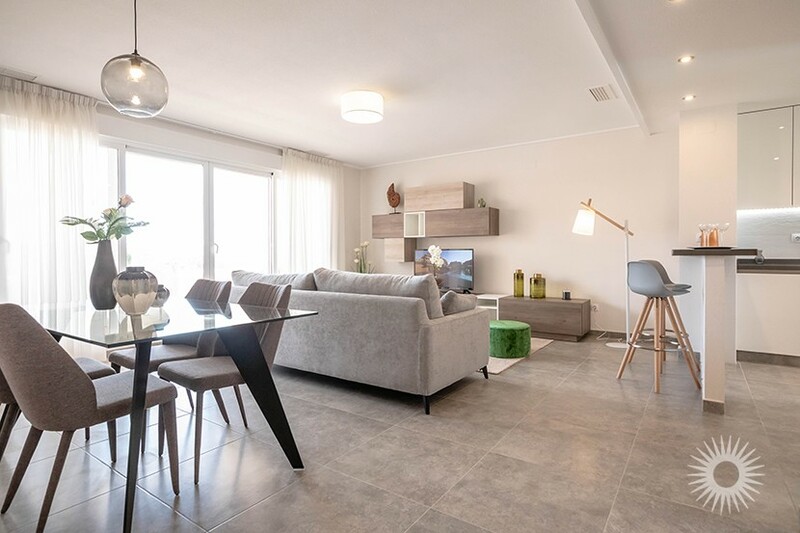 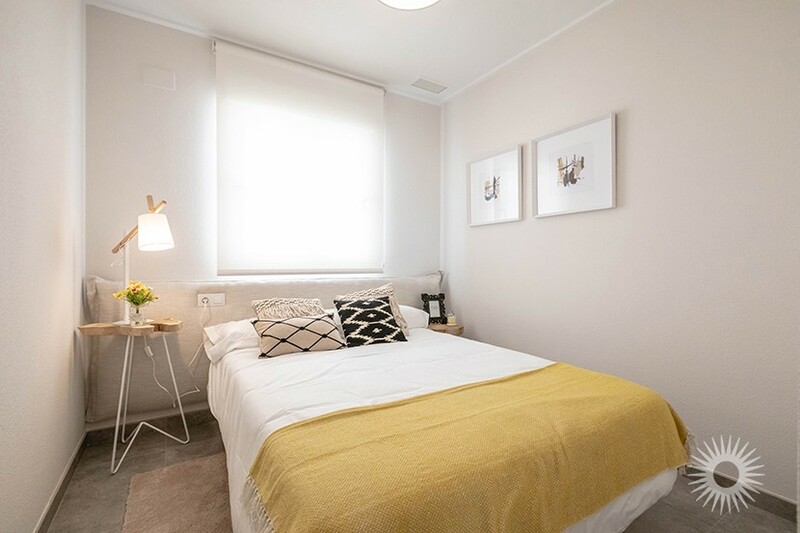 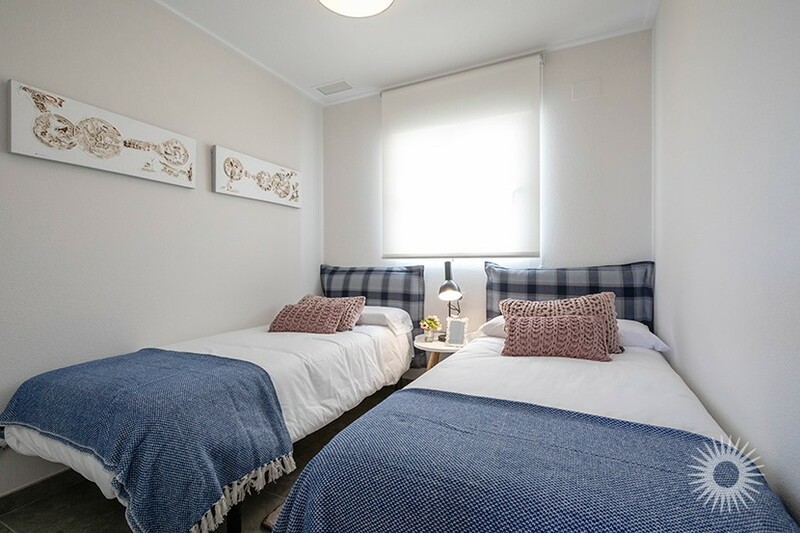 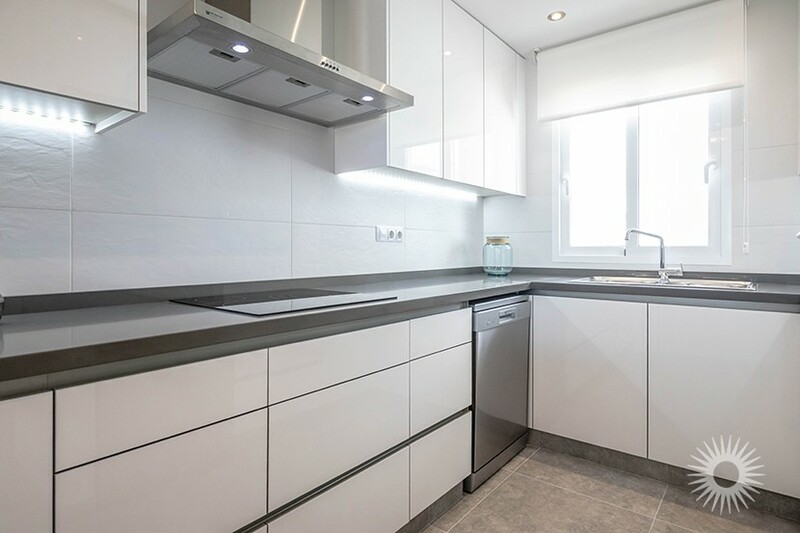 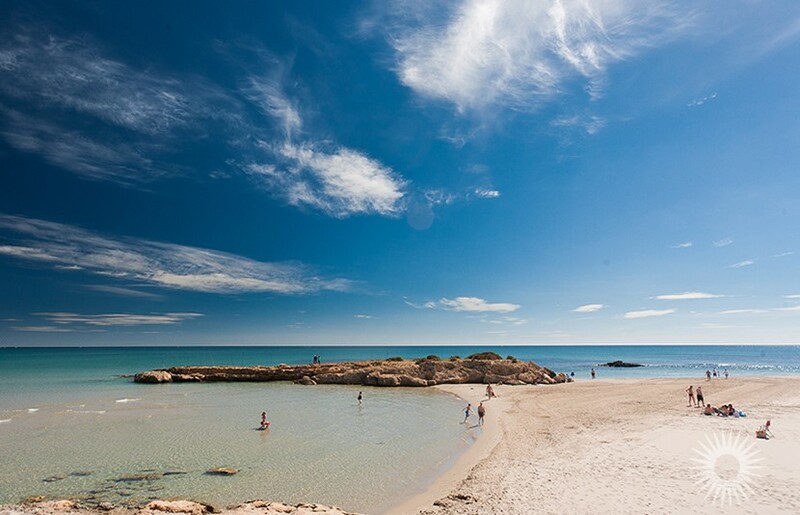 The Los Dolses area is very popular with tourists and most of the population consists of Western European expatriates and is only a short walk to the La Zenia Boulevard and the Playa Flamenca market. 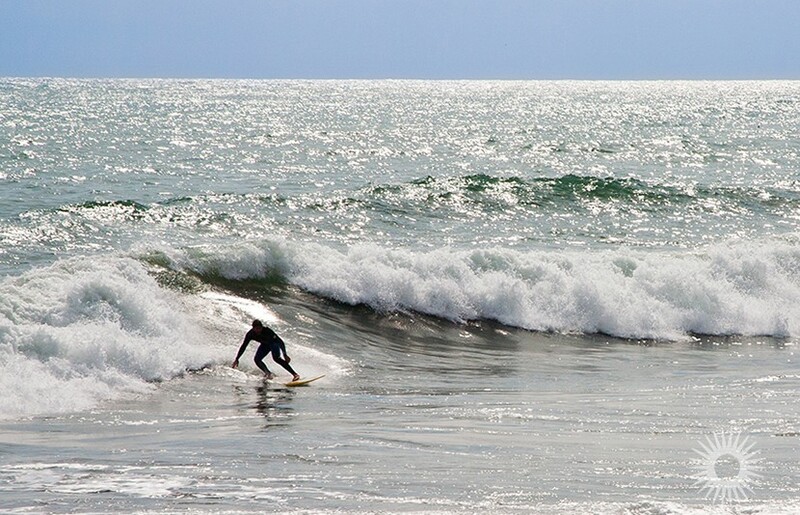 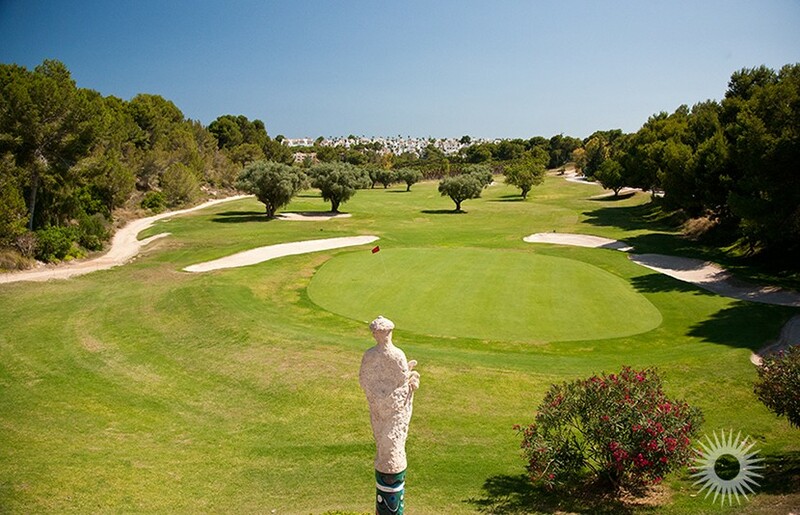 There are also several golf courses nearby and numerous beaches.